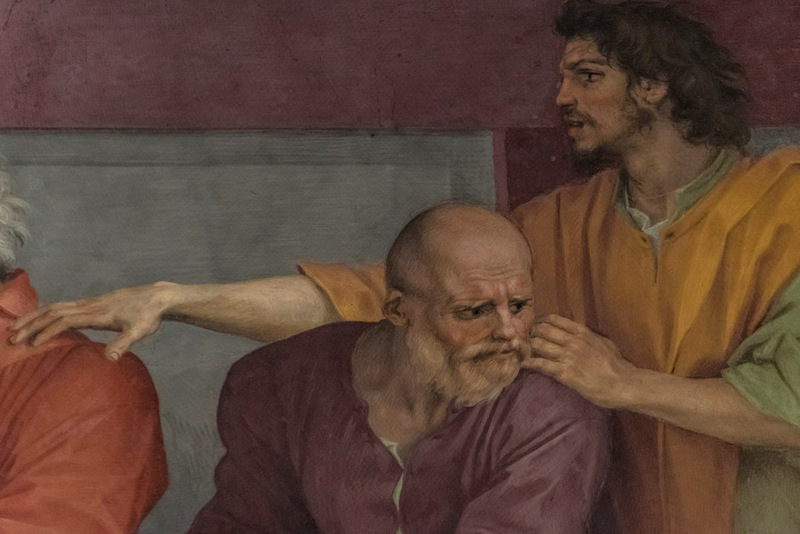 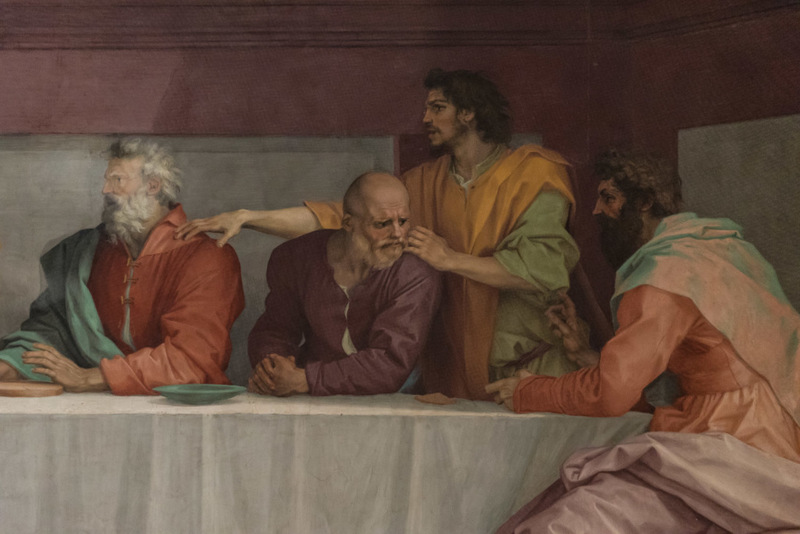 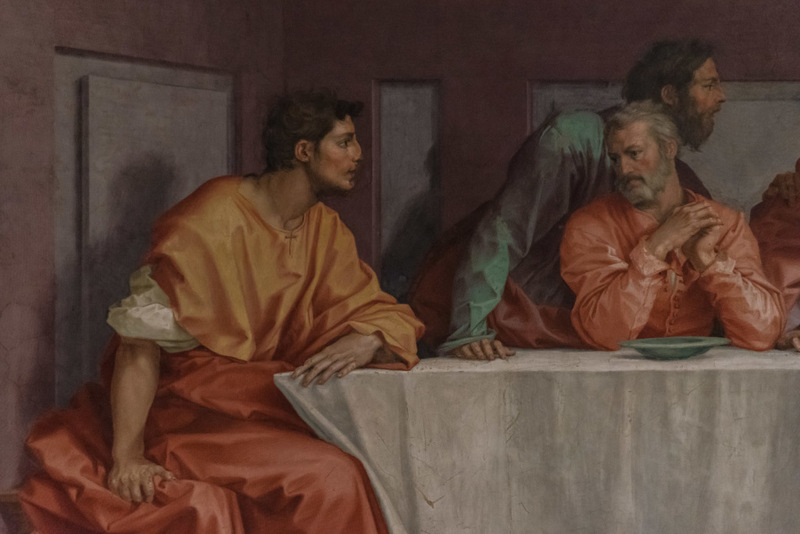 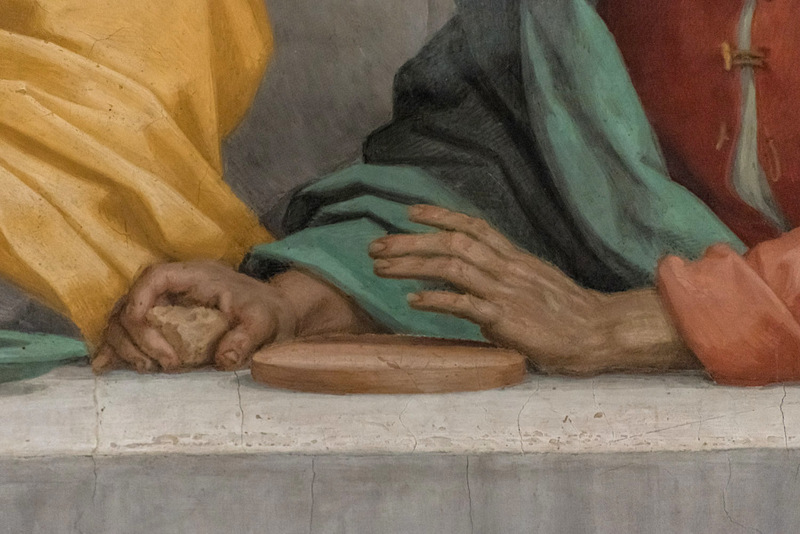 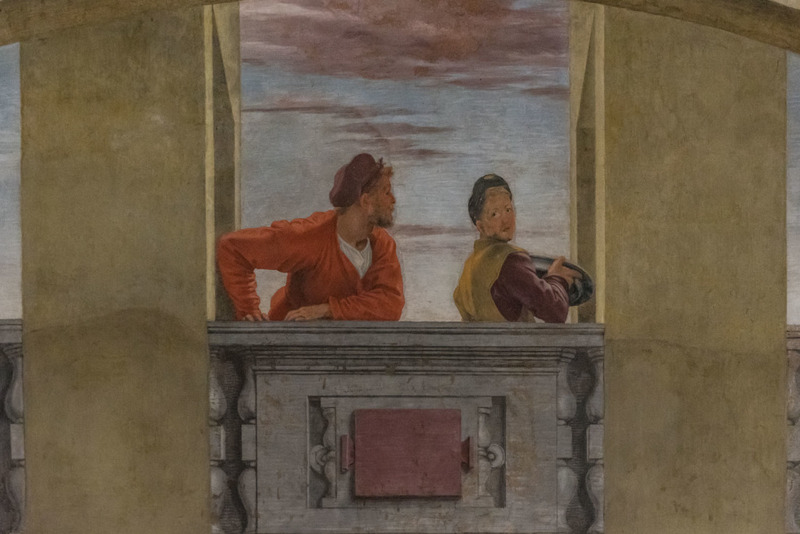 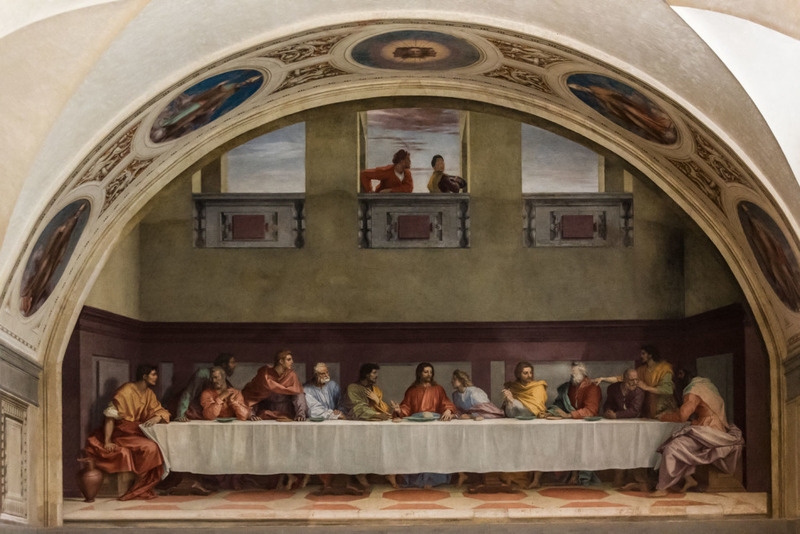 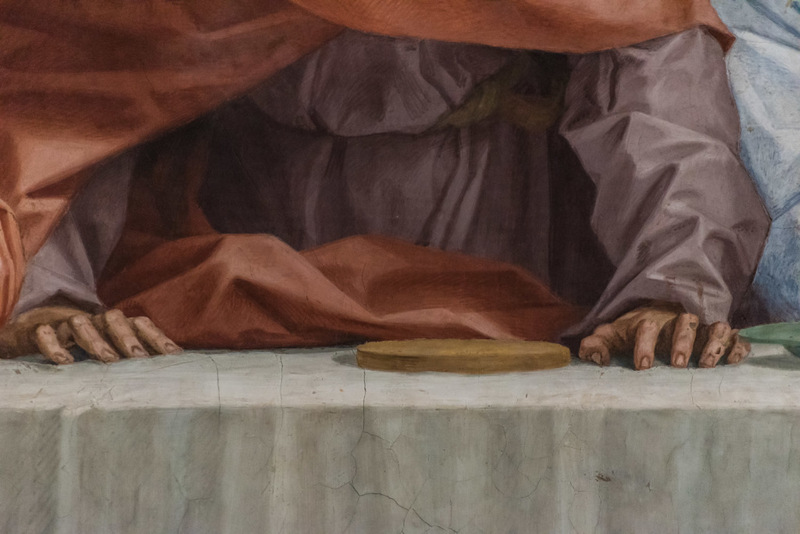 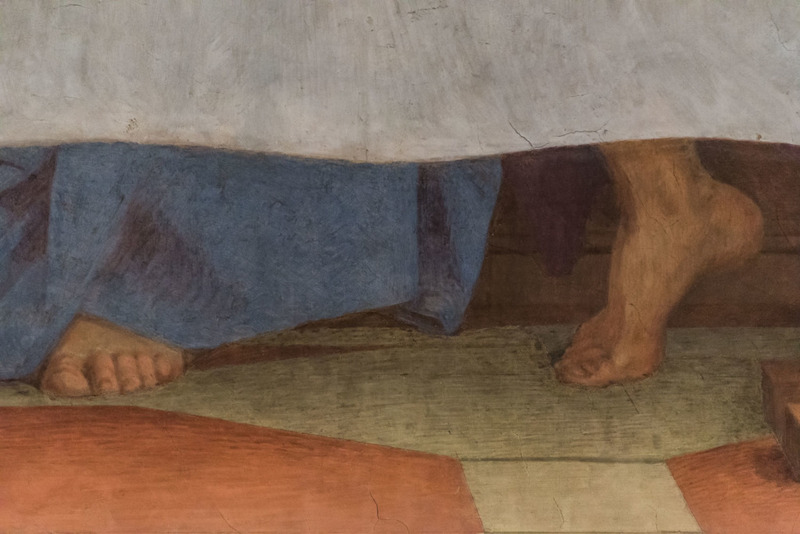 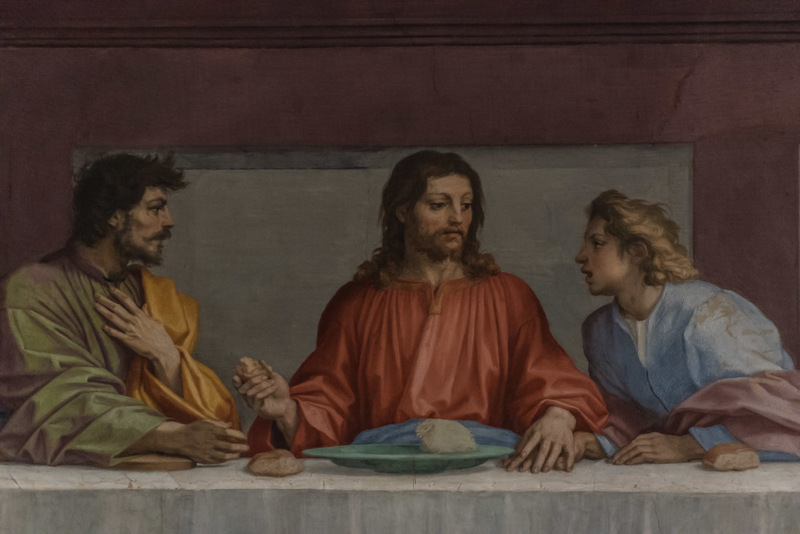 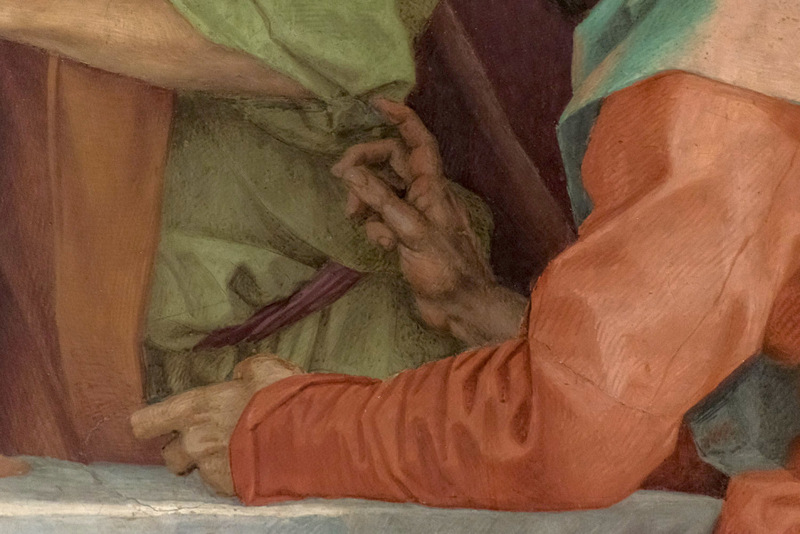 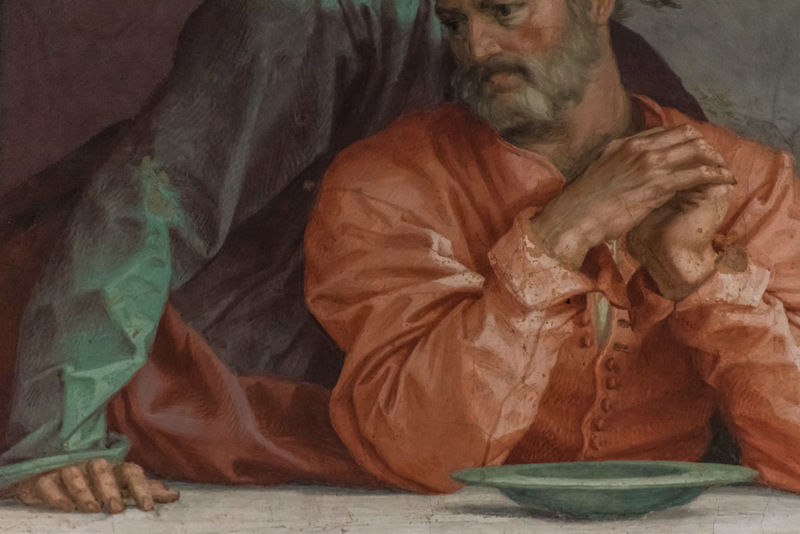 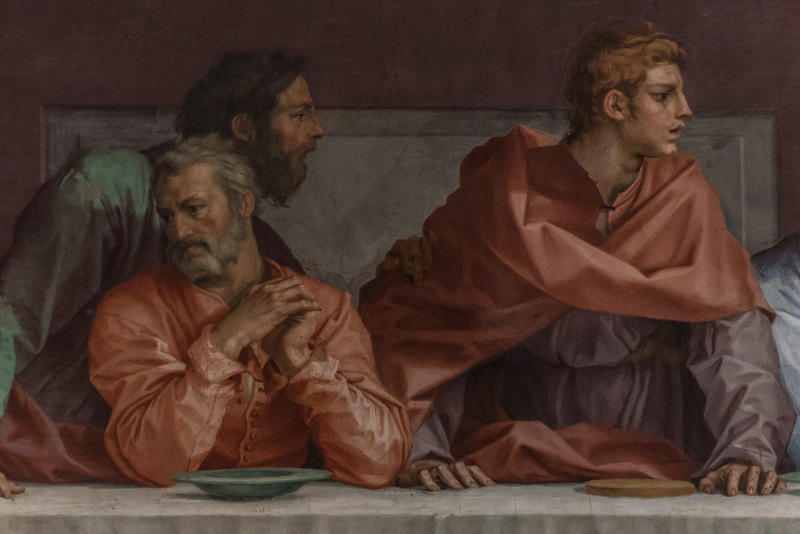 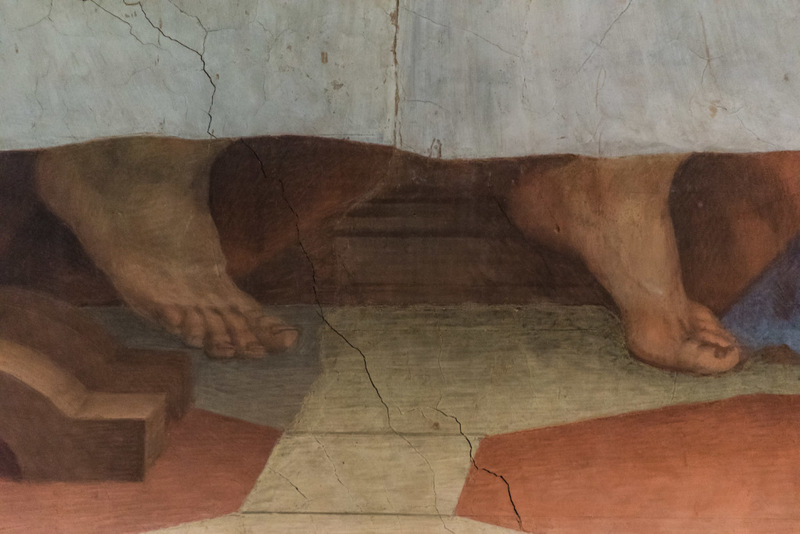 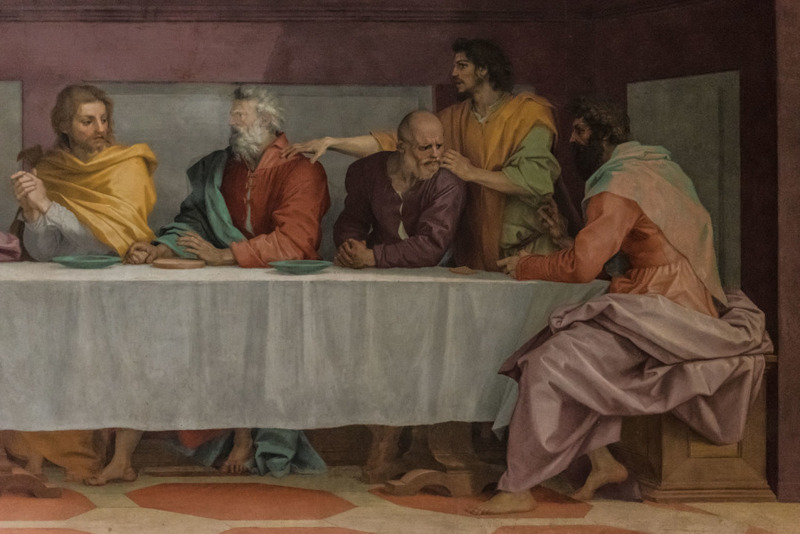 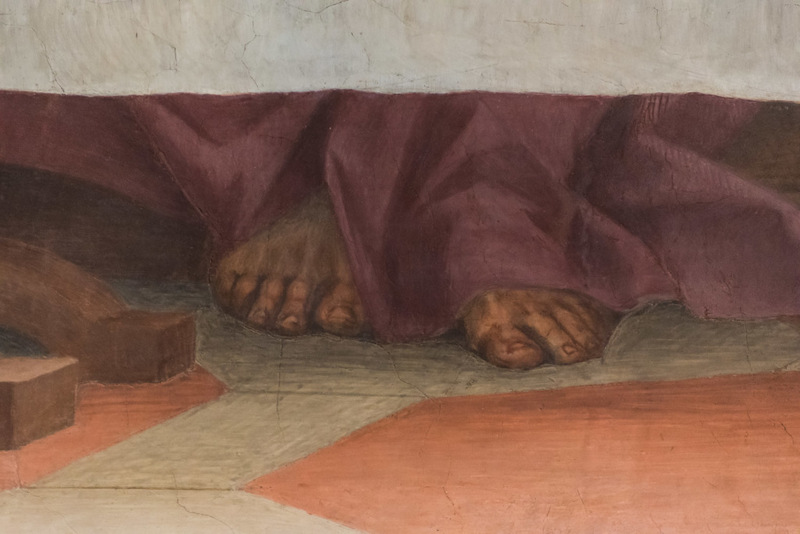 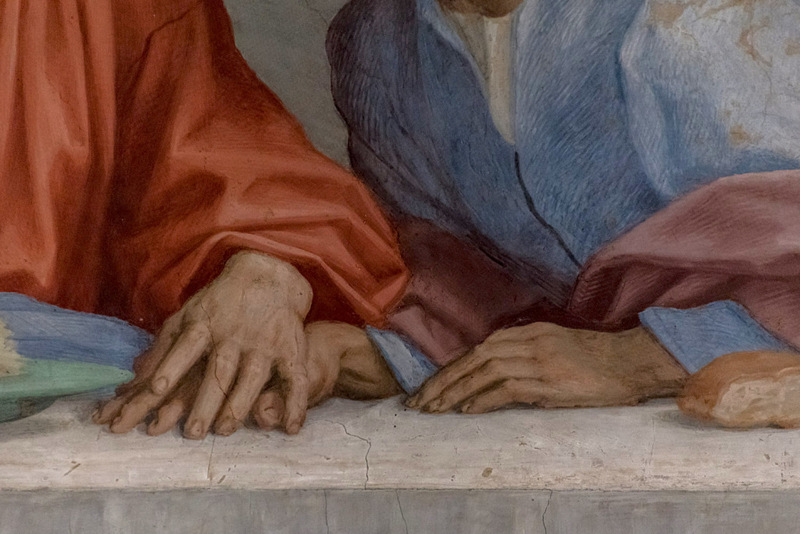 The Cenacolo, the large fresco (525×871 cm) by Andrea del Sarto, is preserved in the Museo del Cenacolo di Andrea del Sarto, near the church of San Salvi, in Florence. 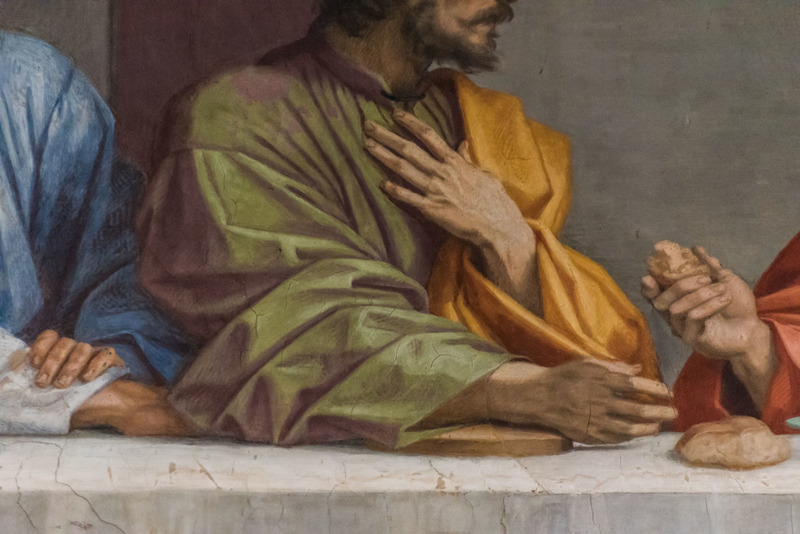 In the tradition of the cenacoli painted in the Florentine monasteries, that of Andrea is considered the arrival point of a journey that began in the middle of the fourteenth century. 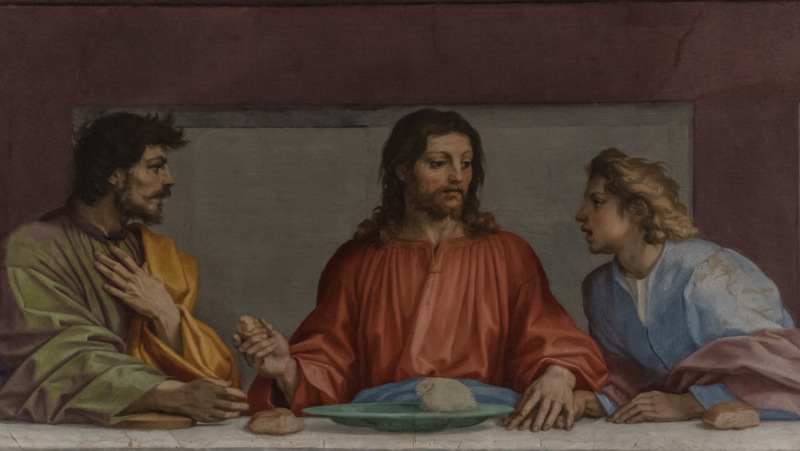 The work, considered among the artist’s masterpieces, was accomplished between 1520 and 1525 and completed in 1527, in sixty-four days of work. 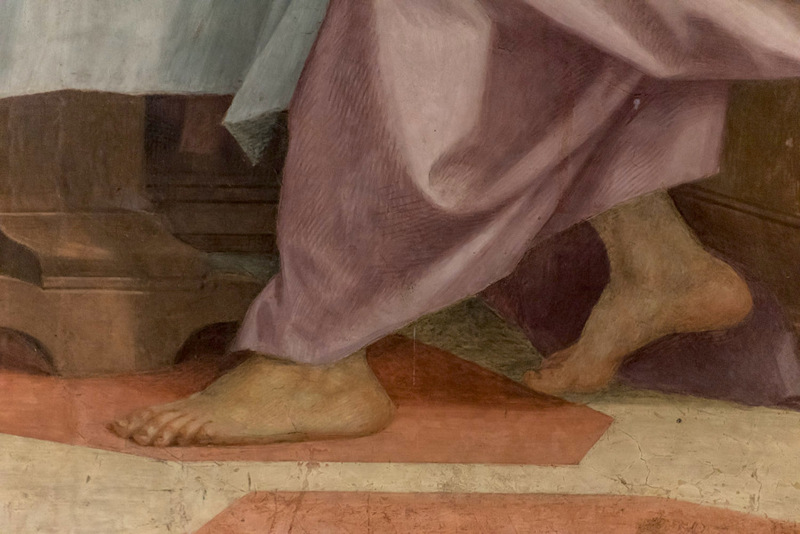 There are numerous preparatory drawings for the main scene that certify the accurate study of the poses, hands and feet of the characters. 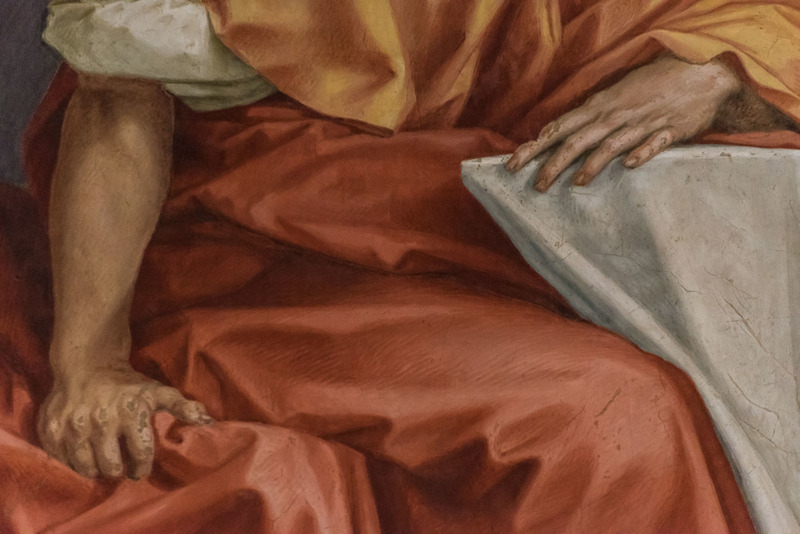 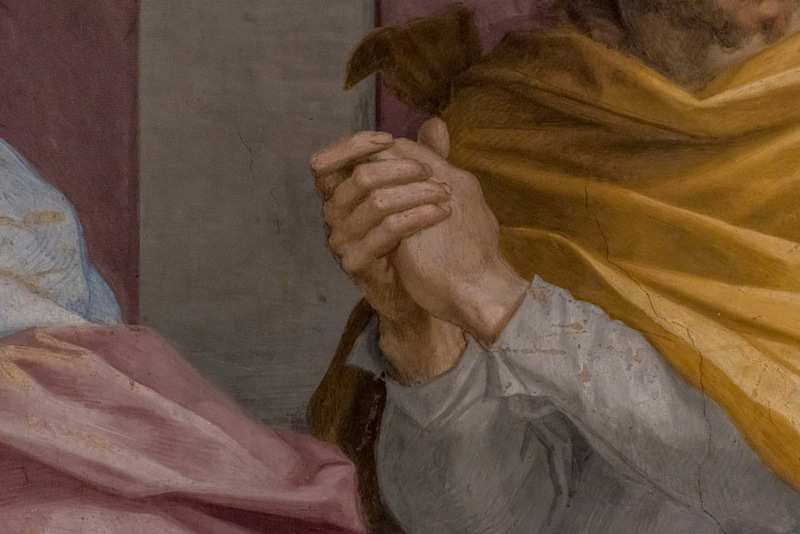 The following photographs help to examine carefully the details of the painting.